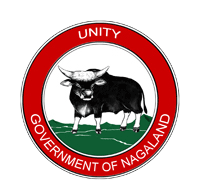 The Nagaland Public Service Commission was set up in 1965 with a composition of one Chairman & two Members. The composition was revised in 1985 by addition of one more Member. In 2007 the strength of members of the Commission was increased to 4(four). The Commission shall functioned with composite strength of 1(one) Chairman & 4(four) Members. W. ChubalaAier was appointed as Member of the Commission w.e.f 29.04.2015. ShriNungsanglemba Chang, Member of the Commission retired on 31.12.2015. The total strength of staff of the Commission during the year under report, including the Commission Chairman and Members is 69. During the year under report, the Commission received a sum of Rs.56,59,800/- (fifty six lakhs fifty nine thousand and eight hundred only) by way of collection of examination fees and selling of forms.